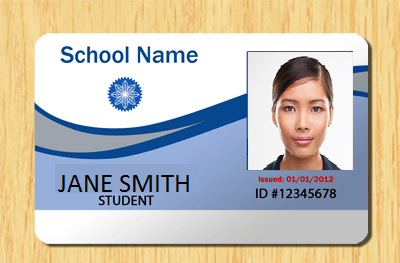 Preparing ID Cards of Students is a routine task in Schools and Colleges.For each academic term ID Cards needs to be prepared for the new batch of students.This process involves taking individual photographs of students and cropping out the required portion necessary for preparing the ID Card. This can be a long and tiresome job.You will need to take photos of students individually and crop out the facial portion that is fit for the ID Card Template. There may be hundreds of students and doing this manually is a really time consuming job.Normally a photographer will use Image editing software’s like Adobe Photoshop or MS Paint to manually cut out the required portion from the whole image.Doing this manually for hundreds of photos can waste a lot of time, effort and man power. This is where you can make use of Face Crop Jet.The software is designed specifically for purposes like this.Face Crop Jet can Detect and Crop a Face from Photos automatically. You just need to load the images to the software, the images can be of any size or format.Face Crop Jet will detect the facial portion that is fit for ID Cards from each image and save it as a separate image.You can optionally specify an output size so that all produced images are of a particular size. Face Crop Jet employs intelligent algorithms to detect the faces from these photos and it will save those faces as separate images. This can save a lot of time and effort which you would have spend to manually crop facial images from photos. The following is a video that demonstrates the use of Face Crop Jet. You can download and try the fully functional version of the software from this link. Face Crop Jet is developed and Supported by a small company that focuses on Delivering products that revolutionize the common workflow.We are part of the Microsoft Bizspark startup accelerator program and we strive to deliver perfection.